Ugh! Who knew lifting crates of apples, rolling them onto a conveyor belt, and sorting through them was such a physical task? I am so out of shape. 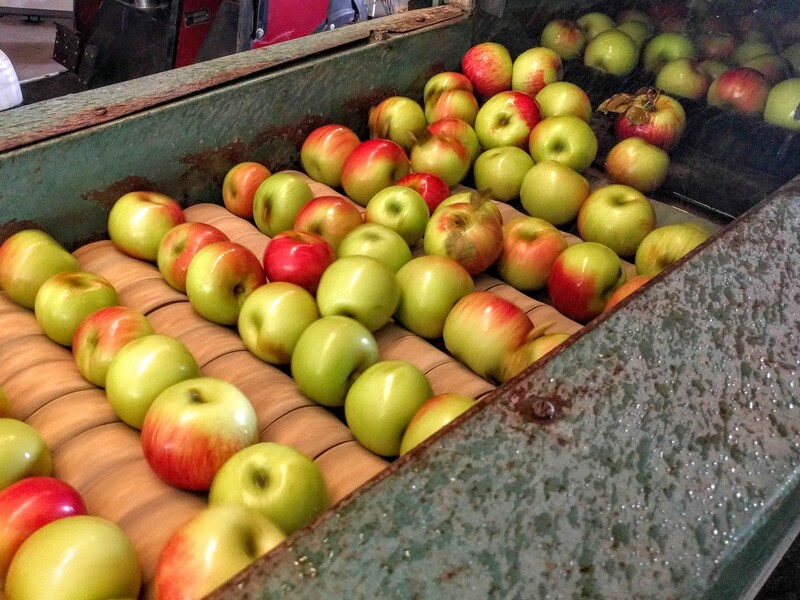 Once the apples are picked and placed in crates, anyone who has time should run the apples through the washer. 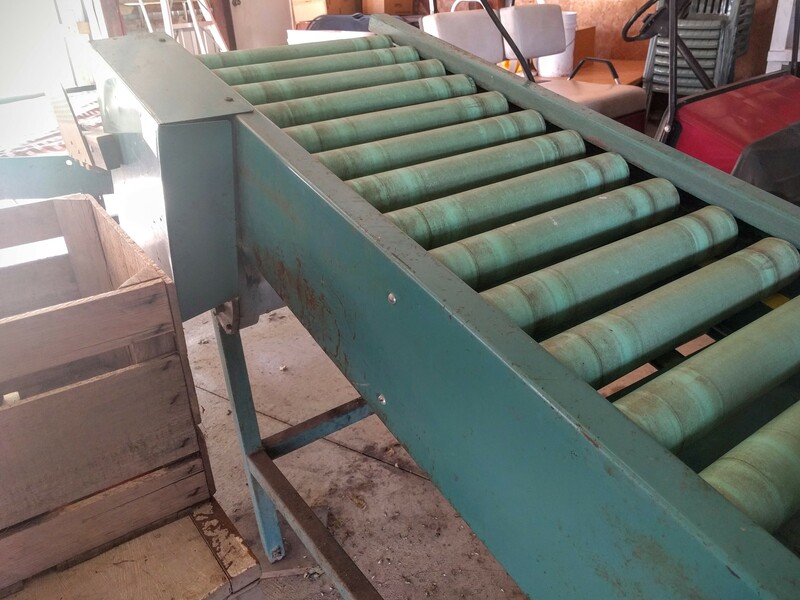 I took three crates of apples and rolled them onto the conveyor belt. I snapped this picture between emptying the second crate and picking up the third one. 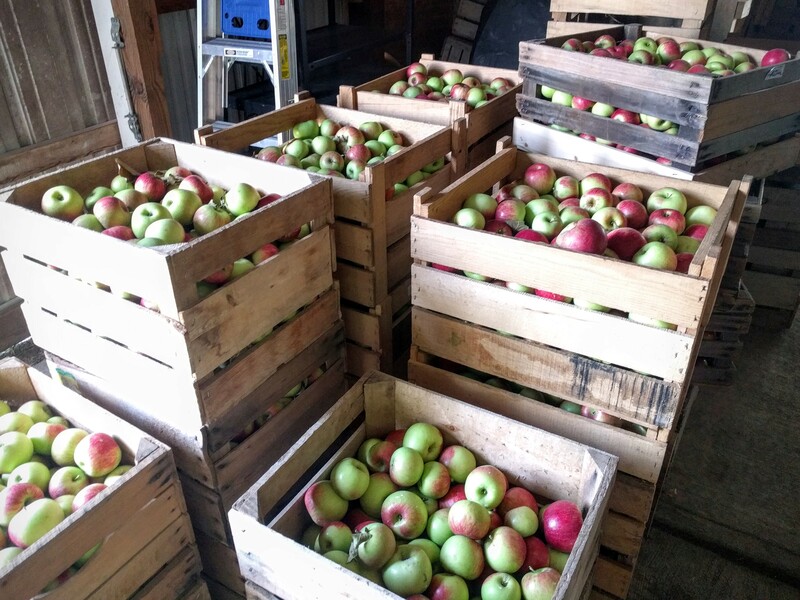 Quick tip: crates full of apples are heavy and make my puny little arms sore. 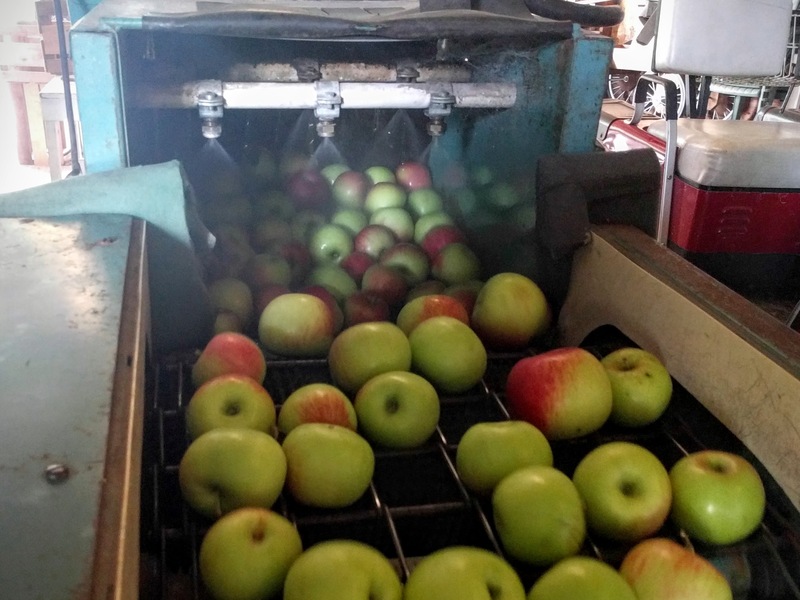 Before rolling through the water sprayers, the apples take a short ride on the grate roller thingy (no idea what the technical term is). Apples too small to sell in the shop and stores will fall through the gaps and roll into a crate. After spending a few seconds in the shower, the apples roll onto the polishing roller thingys (again, do not know the technical term). When I have a chance I’ll quickly survey the rolling apples and pick out the good ones. 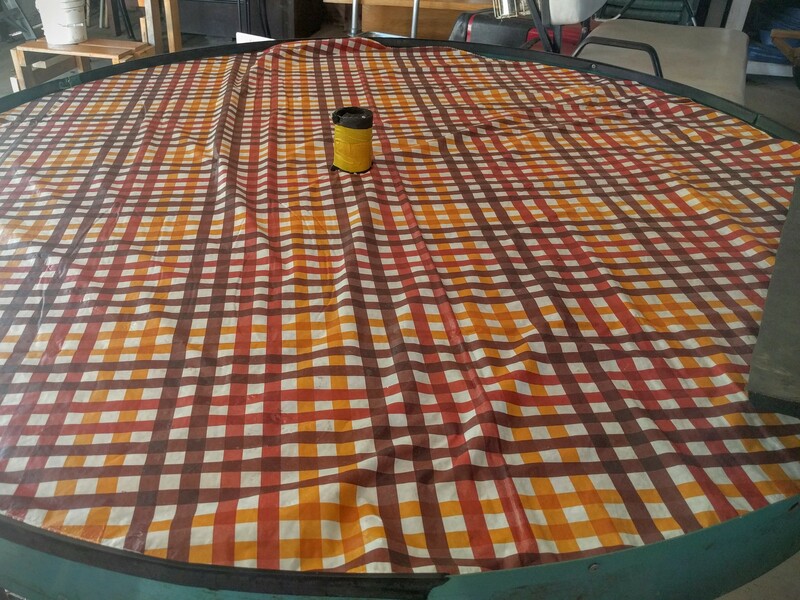 After a short ride on the polishing rollers, the apples take one more ride on normal rollers and gently fall onto a rotating table. Apples that are bruised and have minor cuts are considered “seconds,” which are great for cooking and baking. 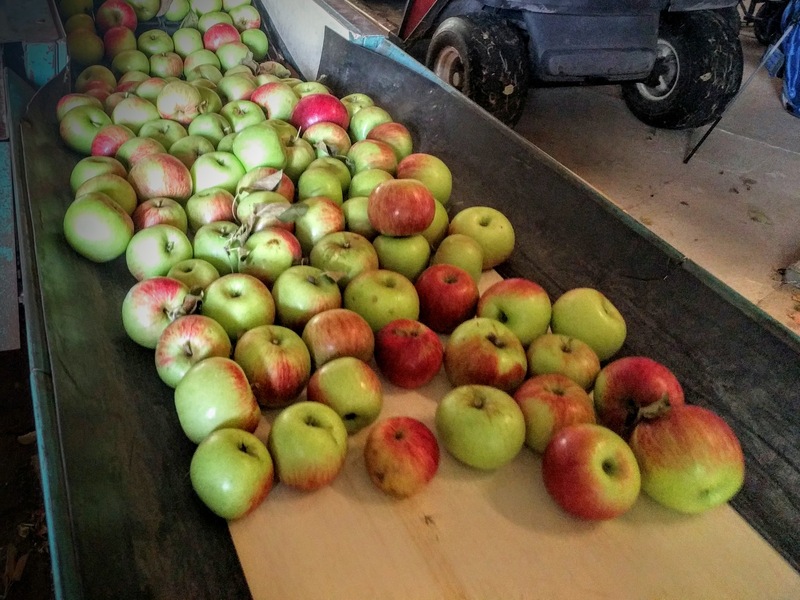 The good apples I pick out at the rotating table are sold at the orchard’s shop and various stores in the surrounding area. For some reason, washing apples is my favorite part of the job. Maybe I love the process, but I think I could wash apples all day long. How in the world do you find time to work and create all these awesome projects? You’re amazing. I live nowhere near an orchard, but I imagine I would have a fun time working at one. I love apples.